South Pacific Avionics is your specialist Used Avionics source. We can install it for you, help you install it yourself or supply it to another maintenance base for installation. Often a mix of new and overhauled equipment is the most ecconomical way to get a quality upgrade at an affordable price. 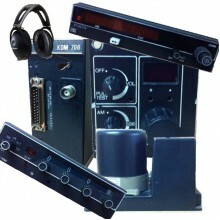 From headsets to HF systems, give us a call first. Why take the risk of importing equipment yourself. Our Part 145 approved workshop can overhaul most of the items we sell to ensure they will give you years of trouble free service. Your overhauled equipment will be supplied with all the correct certification so it can be installed without fuss.